Hello. I'm Eric Benitez, Co-Owner/Center Director of Mathnasium of Eagle Rock, your neighborhood math-only learning center. 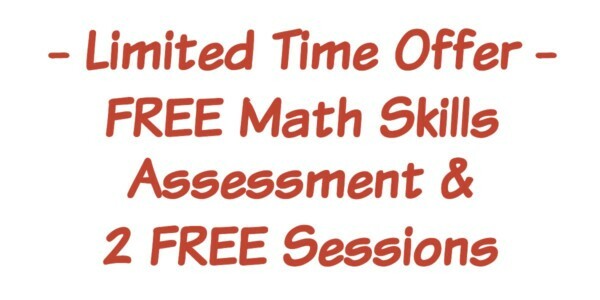 We help kids in grades 1-8 understand math by teaching the way that makes sense to them. Mathnasium of Eagle Rock opened in 2014 and offers math tutoring and homework help to hundreds of students in the Eagle Rock community. Our center is located on Colorado Boulevard, one block east of Eagle Rock Boulevard on the north side of the street. Check out our Glendale and Silver Lake locations as well! My son never complains about going and to me that’s A big thumbs up already. Eric and his tutors create a very fun and relaxed vibe. They are great with the kids and my son feels more confident about his math skills already. Mathnasium is a create collaborative platform for students to gain confidence and not fall behind in math. The team at the Eagle Rock location is engaging and makes learning fun for kids. This place is great! My son is so excited to go and do math I think he would go more than 3 times a week if he could. They foster a love for learning and the staff is wonderful! My son has discovered a new appreciation for math. Teachers are fun and engaging and are helping bringing out the best in him. THANK YOU! My son Cristian was frustrated with math. He would give up on homework. He looked scared when he would sit in front of his math homework. It felt like he couldn't understand the homework because he was struggling with basic concepts. We went to Mathnasium to try to do something that would have a positive result for him. In 3 short months he has become so much better at math. He doesn't get frustrated anymore, he seems to breeze through it now for the most part. And he really enjoys going to Mathnasium. The teachers are great, very patient. Mr. Eric is awesome! They use little rewards to incentivize the kids, and that is very cool. My wife and I are extremely pleased with how our 10 year old son has improved in all areas of math in his grade level. His teacher at school tells us our son is one of the top two students in her class now. I've told my story about the Mathnasium experience we had at work and now three co-workers are sending their children to Mathnasium facilities near their homes. Thank you doesn't express our gratitude. We are very happy with our son’s experience at Mathnasium. We believe he is getting the necessary guidance and instruction to hone his math skills. He enjoys going, and feels proud that he is understanding and doing well. My daughter feels really supported there and is slowly Learning what she was unable to in other settings. She finds it quiet and says the teachers are attentive and helpful and loves it, so I think it’s 100% worth it. Definitely worth the investment, great place!!! Our son looks forward to learning everyday he's scheduled to go to Mathnasium, his test scores at school and grades have improved noticeably. We are VERY pleased parents. My daughter likes the mathnasium lesson plan that helps build up her math foundation, and they’ve been great about helping her understand her current homework on top of it. It’s been really good for her! We had a good experinece here. My son enjoyed coming and is doing well at Math. The instructors are friendly and helpful My child is improving quickly! Fabulous team at Eagle Rock Mathnasium. Particularly the manager. Would highly recommend. My son loves going here, and is very motivated to reach his goals. He feels more confident in math skills, and looks forward to his sessions with the tutors. I just joined otherwise I would have given it a 10, But I would like to wait to see the progression of my child. My son does find the center helpful and says they have taught him some quick tools. I just want him to have a better opportunity and I think mathnasium is going to really help give him that support he needs. My child is so enjoying the experience and wants to go. I feel like that is a major win especially in a subject he's struggled with.. So far so good. We are still in early days but look forward to him continuing to enjoy it. Can't wait to see if helps..Fingers crossed. My son has been struggling in math for four years. He hated it was discouraged to even try to learn it and complained when he had to do his homework. Thanks to Mathnasium Eagle Rock my son is starting to enjoy math. He enjoys coming to tutoring and meeting his goals. My son used to score 100 on the state testing in math and I’m glad to see this side of him returning. Thank you to all of the staff at the Eagle Rock location. Both my kids had positive experiences. They looked forward to going every time. Just Great!!! Erick helped my daughter pass her Algebra 2 accelerated summer class with an A. Couldn’t have done it without him. Thank you! Mathnasium Eagle Rock is a positive learning environment for my child. The tutors are wonderful and I especially like the vitality and friendliness of the manager Eric. He is so helpful and accoodating, listening to my concerns of my child and helping to address them. So fun and very good at explaining things that I can’t for my child! Mathnasium of ER is very organized. Staff are nice and friendly. My son enjoys coming to this location. Very knowledgeable tutors. My daughter passed her fast paced algebra 2 class with an A. Erick went far beyond to make sure my daughter understood lessons. Thank you. Super friendly my son loves going to this place. Mathnasium works! I do not regret signing my son up, was happy to give him the leg up. We really liked the space, so much light and room. The energy was super in the space. Its the first tutoring experience that Ruby has been more than willing to go to! All the teachers have been great! They are patient and kind. In just one month, my child’s assessment score improved by 25%! Worth every penny! My son eas horrified by the idea, when I first told him that we were going to check out Mathnasium. After visit #1, he admitted that he enjoyed it. He volunteers to go 2-3 times a week, because he enjoys it. Mathnasium ER does a good job of teaching my kids math in a fun way wanting them to come back for more. My daughter went from crying over her math homework every night and requiring a parent helping with every problem to her closing the gap in her grade level, doing her homework independently and asking to go to Mathnaseum every day. My son loves going to Mathnaisium. He has had a great experience @ Mathnaisium Eagle Rock, the stuff is very resourceful, knolegable, and friendly. He trusts every math tutor and the concepts make more sense to him. The new management is excellent and creates great incentives! I work nearby and it was so nice to have the tutoring available for my son when I had to work. His math got easier for him to accomplish. He still does not like math but it seems less a struggle. The team is very friendly and knowledgeable about math at all levels. My son had so much fun at Mathnasium this Summer. So far, I would say a 10. My son loves math, and I think Mathnasium has solidly helped him strengthen areas at his level and work towards the next level. This place was awesome! My son really loved it and firmed up hos fundamentals the short time he enrolled. Fantastic, encouraging learning environment! Makes children comfortable in a situation that promotes study as well as fun. The owner Brent is informative and the staff seem more than credible! It's a relief to have a tutoring facility my daughter actually enjoys attending! Math is funnest at Mathnaseium! Friendlly tutors and welcoming environment for kids of all ages. It's cool to see kids build new friendships with each other too! My daughter has been there for about a month and is doing very well. She looks forward to going to her math class which is a miracle in itself and totally adores all the workers there. Brent is the reason my kids love this location. He truly supports my children, Isaac and Isabella. It's been such an easy going and stress less experience for me the parent. My daughter is in love and asks to go daily. They listen to my child needs, very courteous and helpful instructors. My son's grade in Pre- Calculus at the start of his Junior Year was a C minus and at the end of a school year it became an A. This year in Senior year he's taking AP Calculus. Awrsome teachers, great math program and nice facility! We've been there about a month now and it has been a good experience for my son. He enjoys going there and getting his math done. Environment is clean and safe. Staff is also very friendly. Our Daughter has improved with Math since she has been with Mathnasium. The one on one instruction has been very beneficial for her. The helpers are very friendly and happy to help. My daughter struggled in math for many years. Now she is doing great in math and even helping other students in her high school math class. Thanks Mathnasium team!!! Emma's tutors have capably guided her through the intricacies of calculus. Emma's grades have improved along worth her sense that she can tackle calculus. We're very happy so far with the support our kids are getting at Mathnasium. The tutors' approach is easy to understand and the kids like them a lot. We love the convenience of being able to "drop in" whenever it fits into our schedule. I'm very happy with overall experience - the personal attention, the highly qualified tutors, the hours, and the overall environment. Effective and highly recommended. We couldnt be more pleased with the quality of tutoring our daughter is receiving here. The environment is wonderful and they keep excellent track of her progress with her personal Mathnasium Binder. Our daughter went from struggling, to absolutely loving Math! Mathnasium Eagle Rock is clean, has a great staff and wonderful owners/managers! My daughter was far behind grade-level in her math skills. Mathnasium has not only helped her to catch up, but she now leads her class in math! She tells me that she's helping her friends with their math problems on a regular basis. I can imagine how good that must feel after a year of failing(last year)! Thank you! Firstly, My Daughter loves it here. Secondly, we know we're in this for the long haul. Thirdly She just got an A in her end of module exam. What more can I say? What more could I possibly ask for? Your methods have instilled in my child great confidence in math. Math used to be her least favorite subject and now she enjoys it! So far so good. Seeing an improvement for my son in the short time we've been there. Prior to this school year, my son had been averaging B+ in math - including last year, when he started on an accelerated math track at his middle school. But this year the rapid pacing of the accelerated track became a bit much for him, and his grades - and more importantly, his understanding and mastery of the material - fell dramatically. Faced with the prospect of repeating the class over the summer, we signed him up for Mathnasium. It's only been a month, but I can see that his mastery of the material is greatly improved, and he genuinely enjoys doing the work and working with the tutors. What I'm happiest about is that he no longer feels like a failure at math and is once again proud of the quality of his work. We love the progress our daughter has achieved in such a short period of time. Amanda, has gone from dreading math class (before Mathnasium) to determined to succeed. The environment at the Eagle Rock location is a safe haven for anyone looking to close the gap from where where their math skills are now, to where they need to be. The Staff & Director are very friendly, patient & professional. I have been extremely satisfied with the caring and supportive staff. From Brent to all of the teachers, my daughter has felt respected and looks forward to attending each time. My daughter considers math her favorite subject now, and that about sums it up! I only wish that I could get her there more often. My daughter likes working with Michael since his assistance with calculus was very helpful. Sometimes other tutors wanted to help, but Emma said thay they didn't get the correct answers. Emma did not want to hurt their feelings or take Michael's attention away from other kids, so she did request for Michael. She did not want to return because of this. Otherwise I really liked the hours and convenience and the staff. I have recommended your place. For being a chain, how is it possible that this establishment feels like a second home?! I get that warm and fuzzy feeling when I walk in. The tutors are all smiles and that goes a long way. Thank you for an A+ experience! Eagle Rock Mathnasium is a welcoming, calm and productive place for learning math. The tutors are kind and patient. My daughter never wants to leave.